Tony Roe is an accredited arbitrator, a member of the Chartered Institute of Arbitrators qualified to conduct arbitrations under IFLA Scheme Rules. A very experienced specialist solicitor leading a niche South East practice, his firm offers all forms of dispute resolution including arbitration, mediation and collaborative law.Tony deals with complex financial disputes following separation, divorce and dissolution of civil partnerships, variation of maintenance/periodical payments, and cohabitation matters. Tony is keen on the flexibility the scheme offers and can conduct arbitrations on paper, where appropriate, and in an actual setting. Tony has acute awareness of the benefits arbitration has over “traditional” court litigation and other dispute resolution. Tony communicates clearly and effectively, being pragmatic in approach. Tony aims to move clients forward positively with their lives, giving them the best possible confidential service. Qualified in 1990, he has practiced in Leeds, London and Berkshire. He has written and lectured widely. One of his published articles on arbitration can be found here. Tony was a member of the Law Commission’s Advisory Group on Matrimonial Property, Needs and Agreements Project which also considered prenuptial agreements. Tony chairs the Forum of Family Law Arbitrators Marketing Sub-Committee. A member of Resolution, the solicitors’ family law association, he sat on national committee and chaired its children sub-committee. 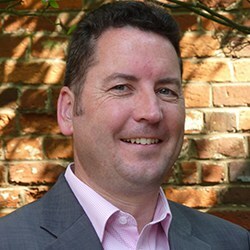 Tony has been named in various independently researched directories, including Legal 500, Legal Experts and Chambers UK.